A package for developers has been launched by Microsoft that will enable them to convert iOS apps into Windows Phone apps, well sort of. The package consists of a new iOS to Windows Phone 7 API mapping tool, a 90 page Windows Phone 7 Guide for iPhone Application Developers and a series of “developer stories”, in which developers share on video their experience porting iPhone applications to Windows Phone and explain why and how they did it. iPhone developers can grab their apps, pick out the iOS API calls, and quickly look up the equivalent classes, methods and notification events in WP7. 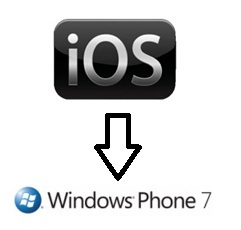 A developer can search a given iOS API call and find the equivalent WP7 along with C# sample codes and API documentations for both platforms. The API mapping tool will basically help developers and programmers to find their way around when they discover the Windows Phone platform. Developers can visit here, to try to the API Mapping. So it’s not as easy as converting a video file into a different format, rather a way to translate one language into another. But this is surely a big step for Microsoft as it has the potential to improve the availability of apps for the Windows Phone platform. Fancy a Nokia N8 in Pink ?